Does Your Health Take a Vacation? With summer right around the corner I wanted to talk about a trend that I see way too often. Something that I have seen for almost 20 years in this industry, is people taking the summer off, and sabotaging all their hard work that they have put in over the year. First, I want to ask you the question, WHY? Is it that you are going to be away at the trailer all summer and can’t get into the gym? Is it that you are going to be outside being active all summer? Is it that you just don’t have time to work out in the summer? We could go on and on with excuses, but at the end of the day that’s all they are, excuses. It is a fact that your health does not take a vacation, and that your body is a temple. Yes, it may feel a bit harder to hit the gym on those nice summer days after work, especially when you really want to go home and pour yourself a drink while you light up the Barbeque. Do your body a favor, and do NOT get away from your exercise habits and weekly plan. Give back to your body and take care of it, you only have the one. Far too often people tell me, they are going to be outside exercising all the time, etc. Then September rolls around and they come back feeling horrible and up 10-20 pounds. I wish I could say that most people stay very active outside, but reality is that only a small percentage of people do. Then the alcohol and bad food intake increases, and that will take you 2 steps backwards. I would suggest that you don’t totally walk away from your fitness plan. Just maybe even cut back a bit, but don’t completely throw your health out the window just because it’s the summer time. 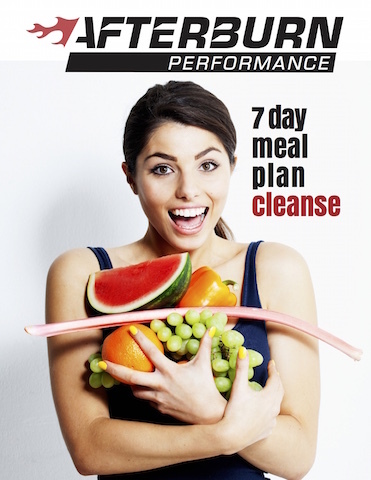 You work way too hard on your body and health, it deserves to be taken care of! 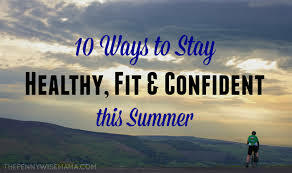 I would even go out on the limb and say that you probably need more exercise in the summer, to compensate for all the extra goodies that we get into during this time. Remember, every year it gets harder and harder to bounce back after being unhealthy. Every year the weight that you took off in a few weeks or month, will increase and get harder to lose. It’s much easier to stay fit, then to get fit repeatedly every year. I am all about getting outside, and going camping, the beach, etc. Just don’t forget about taking care of yourself in the process. I hear people say “I just can’t justify paying if I’m not going to be able to make it to the gym all the time”, yet, we can justify paying for SO MANY other things that are unhealthy for us: alcohol, restaurants, treats, etc. But when it comes to our health, we seem to short change ourselves, and cut those costs first. It really doesn’t make sense why most people will cut from their budget the things that keep them healthy. The priorities must change for us as a society to stop looking at health and wellness as an expense rather than an investment. Do yourself a big favor and keep up with your fitness this summer. Dedicate at least 2 times a week in the gym of strength training, and do some extra cardio outside. You will regret that you did not take care of yourself when you get sick and start feeling like crap. I hope this helps people think twice, and if you need any help with your scheduling this summer, send me a message, and I will give you some help on how to plan your weeks. Health first!! !